Brilliant young actress Charlie (Pugh) strikes up an acquaintance with an intriguing stranger while on holiday in Greece, but it rapidly becomes apparent that his intentions are far from romantic. The man is Becker (Skarsgård), an Israeli intelligence officer, who entangles her in a complex and high stakes plot which unfolds as she takes on the role of a lifetime in the "theatre of the real". 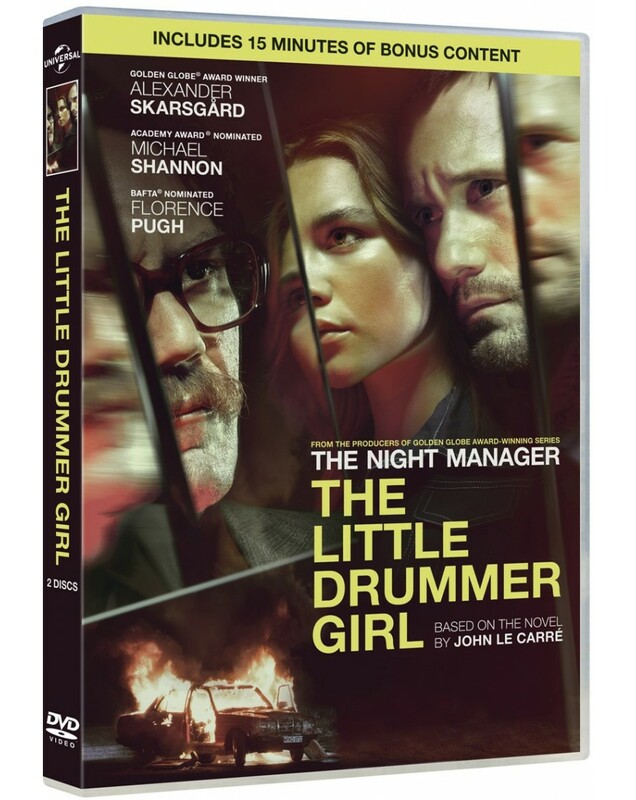 Set in the late 1970s, yet sharply contemporary, "The Little Drummer Girl" weaves a dynamic and exciting story of espionage and international intrigue; of love and betrayal.